My Friend Suhana is a wonderful story of a seven-year-old girl who befriends a girl with cerebral palsy. The young girl meets Suhana at a community center special needs class and instantly wants to be her friend. The story does a wonderful job of expressing that even though Suhana could not walk, talk or play like other children; she was still a special friend to the girl. Many children do not understand why people with disabilities are different and this book is a great story to introduce how to be compassionate to others that are different. I would highly recommend My Friend Suhana. It is a well illustrated book and sends a good message to children about the importance of respect, friendship and love regardless of one’s abilities. 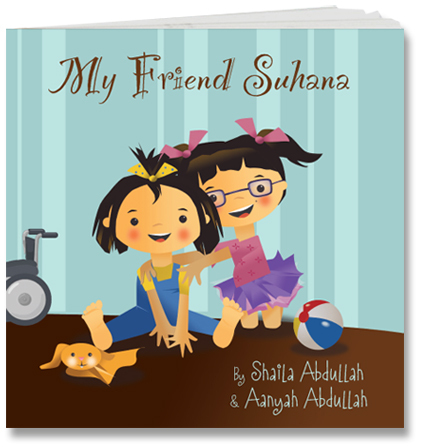 My Friend Suhana was written by award-winning author and designer Shaila Abdullah and her daughter 10-year-old Aanyah. My Friend Suhana is available in paperback, hardback and eBook. For more information please visit www.MyFriendSuhana.com. *I received a free copy of the book to review. There was no compensation. The opinions expressed are my own and not influenced in any way. 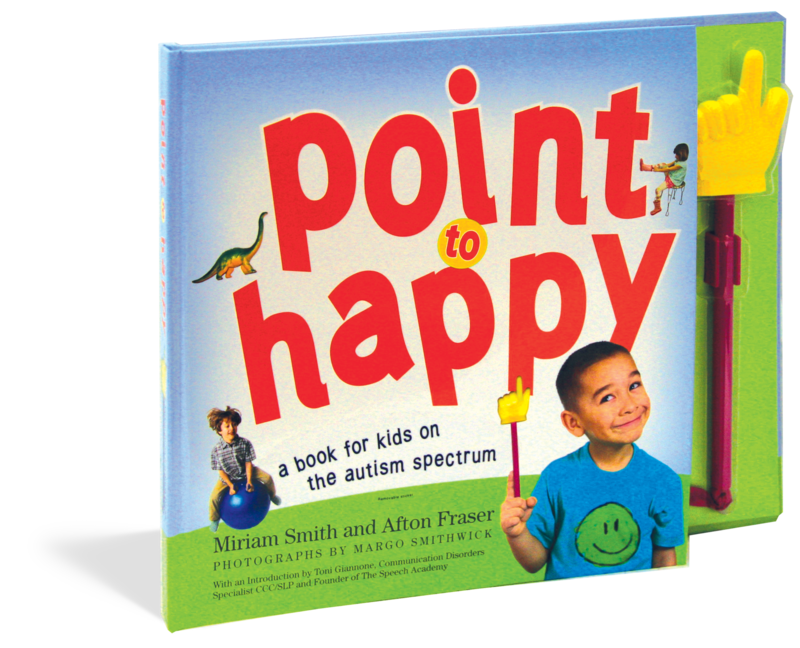 When I was researching books for children on the autism spectrum, I discovered Point to Happy: For Children on the Autism Spectrum. This book was created by a grandmother, Miriam Smith, who was looking for a book for her grandson who was on the autism spectrum. To her surprise there were no books specifically for children with autism. She collaborated with her daughters Afton Fraser and Margo Smithwick and created this wonderful tool for parents to share with their children. When I received the book, I was pleasantly surprised by its size which could easily sit in a child’s lap. The pages are thick and sturdy which is helpful for little fingers to turn. The book includes an attached pointer that can be used to identify the pictures. The beautiful photographs fill the pages and are simple with no distracting backgrounds, which can be a problem for many children on the autism spectrum. The book covers many issues that challenge children on the spectrum such as emotions, sensory, common objects and daily tasks. My son enjoyed the book and identified each picture as he touched the page with the pointer. 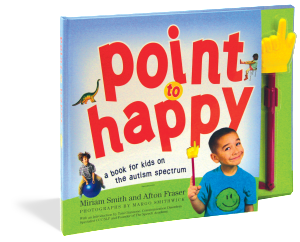 I would highly recommend Point to Happy: For Children on the Autism Spectrum. It is a great tool for parents to help their children communicate in a fun way. Preschool was such a time of emotional turmoil. Not only did I have to watch my first-born son run off into a new world of independence, but I had to worry about how much independence he could tolerate. He had developmental delays in many areas and all the terms and suggestions that the teachers and therapists were throwing at me were overwhelming to say the least. But one person, an occupational therapist, changed our lives forever. She said that my son had Sensory Processing Disorder and she suggested reading a book, The Out-of-Sync Child: Recognizing and Coping with Sensory Processing Disorder. I was very reluctant. . . my son didn’t have any disorders. I bought the book and absorbed every word and realized that my son did have Sensory Processing Disorder. The Out-of-Sync Child: Recognizing and Coping with Sensory Processing Disorder by Carol Stock Kranowitz, is a well-written book that explains what Sensory Processing Disorder is and how it affects many children in different ways. I liked that there were examples of how a neurotypical child would react to a situation compared to a child with Sensory Processing Disorder. There were clear explanations of the senses and I learned that there are actually more senses than hearing, vision, taste, smell and touch. The vestibular and proprioceptive senses were new to me but I learned that they were a large part of my son’s challenges. The book discusses the three categories of Sensory Processing Disorder which include: Sensory Modulation Disorder, Sensory Discrimination Disorder and Sensory-Based Motor Disorder. I learned that my son was a sensory seeker which falls under the Sensory Modulation Disorder category. He needed to bounce, spin and just move all the time. I never understood how he could spin so much until I read the book and learned that his body craved that sensation. The book also discusses different types of therapy and the role an occupational therapist may have with a child that shows symptoms of Sensory Processing Disorder. My son has been going to an occupational therapist for nearly five years. Therapy has been a great outlet for him to satisfy his sensory needs which in turn has improved his behavior. I would highly recommend The Out-of-Sync Child: Recognizing and Coping with Sensory Processing Disorder to any parent that has concerns with their child’s behaviors or suspects that their child may be reacting inappropriately to daily activities. 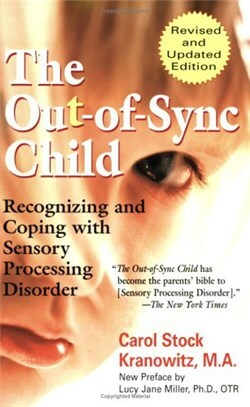 For more information you can visit www.out-of-sync-child.com to view all of Carol Stock Kranowitz’s books. Because this is a new blog I am working hard to line up some great products to review. Please keep checking back often for more information.